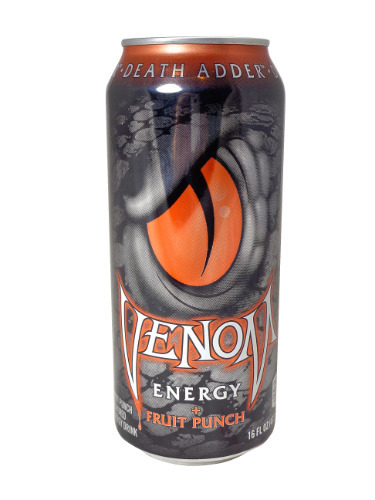 FRESH 16oz Venom Death Adder Fruit Punch Energy!!! Death Adder Fruit Punch delivers more punch, a quick strike artist thats got your back in the ring and on the street. Death Adder is what to pack when the gloves come off.